Elmo Motion Control is probably a company you've never heard of, based in Israel, this company is one of the market leaders in the motion control market. The company has over 25 years of experience and designs high-performance and ultra-compact digital servo drives, advanced motion controller solutions and power supplies, analog servo amplifiers, and network motion controllers. Elmo designs products not only for industrial but also for military applications. With its Motion Control lineup, Elmo complies with a broad range of industry standards (safety, EMC, etc.) as well as a wide range of industry protocols including the emerging EtherCAT as well as the somewhat older, time-proven CANopen. The controller is programmed using C and the PLCopen Motion Library extension using Elmo's IDE. 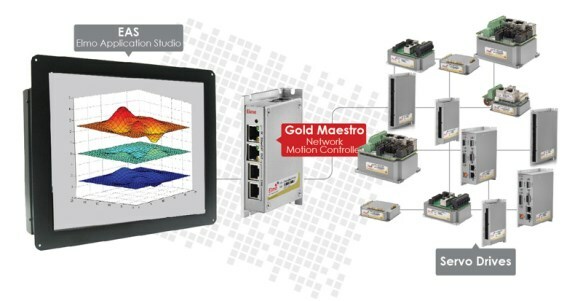 It offers a distributed motion control architecture, enabling intelligent and modular design of an overall motion control system, with optimal control over the selection of the drive for each axis. The intelligent Elmo servo drives executive the highly demanding local position, velocity, current and vector real-time control algorithms, and they also handle the local axis and I/O sequences using the drive's built-in programming capabilities. 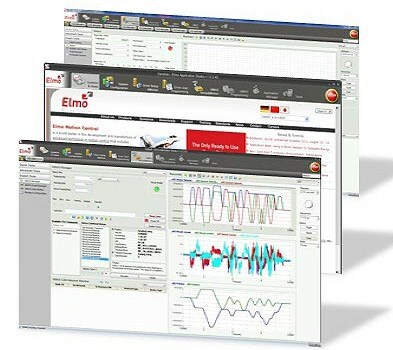 To take care of all your engineering requirements, Elmo created the Elmo Application Studio (EAS), a PC application that allows you to program, tune, configure, optimize, set-up and network any single and multi-axis servo application.